Having a car could be a crucial part of your next holiday or business trip, but it isn’t always viable taking your own wheels with you. Thankfully, you’re not short on options when it comes to finding a hire car in Sydney, although this presents a new problem – finding the right car rental company and location. With plenty of brands, cars and extras available, choosing a provider can be a tricky process, particularly if it’s your first time, or you’re heading to a new city. 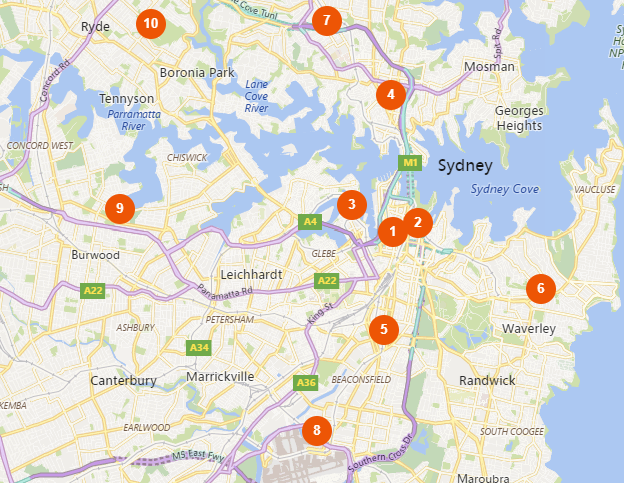 In this guide, Canstar Blue lists car hire companies in Sydney, pick-up and drop-off locations, as well as what vehicles and services you can expect to find on your next trip. Location is hugely important when it comes to hiring a car. After all, you don’t have your own wheels to get you to the pick-up point! 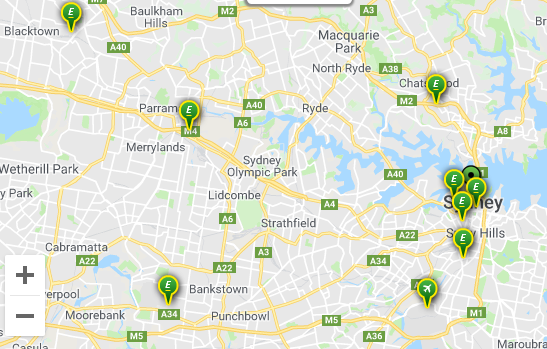 While some providers have a location for those who step off the plane at Sydney Airport, it’s important to look at other locations around Sydney to ensure you don’t have to go out of your way to return your car rental. Sometimes you’ll want to drop your vehicle off at a different location to where you picked it up. However, some providers may only allow you to return your car to the same location you picked it up from. If you’re returning to the airport, most rental providers will also offer free shuttle buses from domestic and international airports, making it easy for you to catch your next flight. If you’re not sure about where you can pick up or return your rental, most providers will offer options during the booking process. Price is a big factor to consider when it comes to hiring a car, so shopping around for the best deal possible is a good way to make sure your trip doesn’t cost more than you budgeted for. While the final bill will come down to any additional extras that you select, as well as whether or not you’ve returned the car in the same condition, it may be worthwhile looking into the smaller providers if you’re keen to have a bit of spending money while you’re in the big city. It’s also important to keep an eye on the booking process, as the price originally advertised may not be the final cost you put on your card, with providers offering protective covers, surcharges and extras to entice you to spend. Costs will also be dependent on how far in advance you book your rental car, with booking the day before often more expensive than booking with plenty of time to spare. 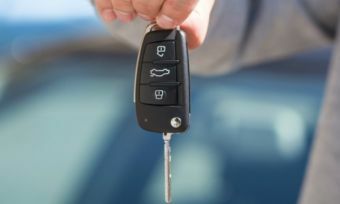 However, most hire car providers will offer discounts or promotions to get your through the door, so if you’re looking to drive away with a bargain, be sure to check out all your options before you pick up the keys. Available in over 140 countries around the globe, Europcar is well-known in the hire car scene, with more than 100 locations in Australia. Bookings can be made online or through the Europcar app, making it easy if you’ve left it to the last minute. With a fleet that consists of small cars, sedans, as well as 4WDs and vans for all your transport needs, Europcar offers a number of extras to help make your time behind the wheel more enjoyable, including GPS and child seats. Opening hours for each location are provided on the Europcar website, and you can check to see if you can drop your rental off at a different location online, with quotes available for those looking to budget their next trip. Loyalty programs and rewards are also available for those who are constantly traveling, making it handy for those who spend plenty of time on the road. Looking for a cheap deal? Europcar’s subsidiary, keddy, is also available at select Europcar locations, so be sure to keep an eye out if you’re looking for a bargain. With more than 200 locations around Australia, Hertz is a popular option for those looking for a hire car or truck, with plenty of vehicle types available, including small cars, family vehicles and commercial vans. Hertz offers online check-in to speed up the process, allowing you to partly fill-in your details before you’ve arrived at your designated pick-up area, meaning you can get your journey underway sooner. You can also use the Pre-pay option to save at the checkout, although this is only available at select locations. You can additionally organise to drop your rental car off at a different location, making it easy for those on a one-way trip, or those whose plans change. Prices for Hertz car hire can be found once you’ve entered in your trip details and locations, making it easy to budget for your trip, with additional extras such as sat navs also available through the booking and checkout process. Budget is available at over 200 locations across Australia, and offers a range of cars for you to choose from, including smaller models for when you’re travelling on your own, or SUVs for those who have a crew with them. Rates and prices are outlined as you book your car, with options broken down into each car type, such as ‘compact’ cars like the Suzuki Swift, as well as ‘full size’ for those looking for a Holden Commodore or something similar. Additional extras such as GPS, child safety seats, and even snow cover can also be added to your order, with Budget also allowing users to prepay at a discounted rate for those who have their plans locked in early. For those who are frequently travelling, Budget offers Fastbreak, which allows you to pick up and drop off your ride a little quicker and easier. While only available at select locations – and you have to be a Fastbreak member – it may be a handy option for those in a rush. With more than 100 locations around Australia, global-brand Avis provides an extensive range of cars, including small cars, sedans and SUVs. Avis also offers trucks to help you move, or for when you’ve got a big job ahead of you. For those who are going to multiple locations, you can select where you would like to pick up and drop off your rental, making it easier to work around your schedule instead of worrying about where you should drop the keys off to. Costs are outlined after you’ve entered in your travel dates and locations, with optional extras available as you progress through the booking process. Avis allows for drivers to pre-pay their booking, with Rapid Return also available for those who don’t want to wait around while dropping off their rental. 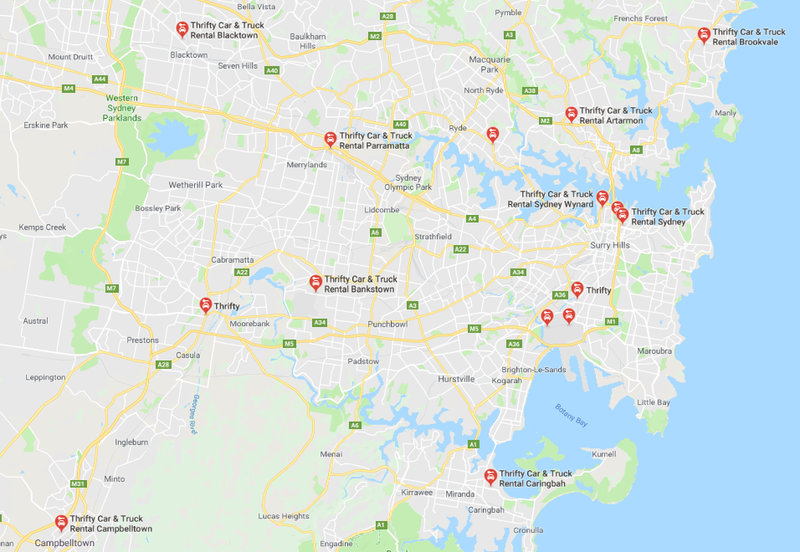 With more than 200 locations throughout Australia, Thrifty lists the opening hours of all locations on its website. Similar to other providers, you can select from a range of vehicles, including small compact models, to larger SUVs and commercial vehicles. You can even hire a bus from Thrifty, making those school excursions or big group trips easier to manage. Pick-up and drop-off locations can be selected when booking, making it easy to organise your hire car around your trip, and not the other way around. You can even add strollers, booster seats and GPS to your bookings, helping make everyone on the trip more comfortable. And if it’s your first time in Sydney, Thrifty even throws in a travel blog to ensure you don’t miss a thing. A smaller operator in comparison to its competitors, Redspot has been in operation since 1989, and offers a number of vehicles for drivers to choose from, including the smaller Kia Rio all the way to the Holden Colorado ute, as well as other commercial vehicles such as vans and trucks. Redspot offers a number of pricing tiers to choose from, including Bare Bones, Middle of the Road and Top Dog, each with different included extras and cover, helping you to personalise your journey and preferences. Enterprise looks to focus more on short-term car rentals, making it a handy option for those who are just looking to get around town for the day or two. Offering a number of vehicles for your driving preferences, Enterprise’s fleet includes small cars, such as the Hyundai i20, with larger models, such as the Toyota Camry, also available. Users can choose where to pick-up and drop-off their rentals, with rates and fees shown during the booking process to ensure that you aren’t left with a surprise when you drop the keys off. 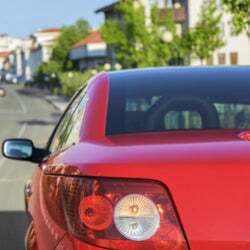 East Coast Car Rentals may not be as well-known as other providers when it comes to picking up a rental, but still offers a number of vehicles for your needs. Prices are shown on a per day basis, with extras such as baby seats, portable DVD players and GPS also available, meaning it still offers plenty to consider when your next trip to Sydney comes around. 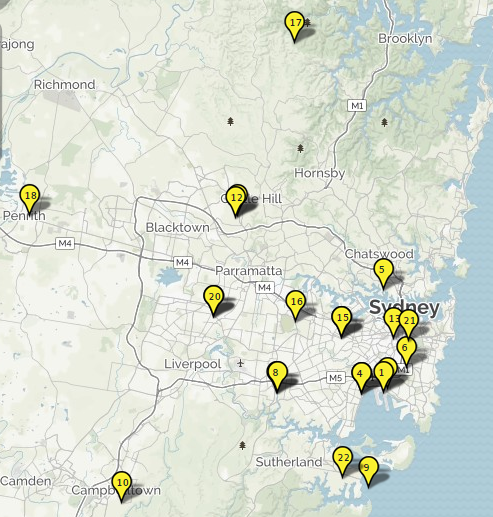 Firefly is available around major and capital cities of Australia. Owned by Hertz, Firefly has been in operation since 2013, and has a number of cars available for hire, including the Suzuki Swift for those after a small model, or the Toyota Kluger and Kia Carnival for those who need something a little bigger. Extras such as GPS units and child seats are also available through the reservation process, allowing you to find out how much you’re spending before you pick up the keys. A New Zealand company, Ace Rental Cars expanded into Australia in 2003, and currently operate under Hertz. Vehicles include compact models such as the Toyota Corolla, plus SUVs such as the Mitsubishi Outlander, with the Super Saver option coming with a ‘Mystery Vehicle’ if you’re looking to be a bit adventurous. Ace Rental Cars additionally offers a free shuttle bus from drop-off points for those who need to get to the airport, making it very convenient when you need to catch a flight. Originating in America, Alamo has expanded across a global scale, and currently operates under Enterprise Holdings along with Enterprise and National car rentals. Offering small models for the solo traveller or large SUVs and people-movers for when you’re taking the whole crew, Alamo has plenty of options available for your hire car needs, with extras available through the booking process. Another American brand, Dollar Car Rental operates under Hertz, with the brand available across 70 countries globally. Cars available include models such as the Hyundai Getz for those looking for something small to zip around in, while Mitsubishi Outlanders are additionally available for those looking for a bit more room to play with. Rates and fees are available when you book, with Dollar Car Rental also detailing the breakdown of their fees so you know what you’re paying for. Founded in Germany, Sunny Cars operates on a global scale, and is available in major and capital cities around Australia. A variety of vehicles and packages can be purchased to suit your style and budget, with Sunny Cars accepting payments through PayPal as well as major credit cards, making it easier for those budgeting their trip. You can filter your car results to suit what you need, but be careful when booking online, as prices first appear in euros – so be sure you don’t get caught when converting to Aussie dollars! The first car rental car in Germany, Sixt has been operating for over 100 years, and has expanded to cater for a global audience. In Australia, Sixt offers a number of models for your rental needs, whether you need a small Hyundai i20 or a large Toyota Commuter to ferry the crew around. Prices and extras are outlined during the booking process, meaning you can budget for your trip, as well as ensure you have a few comforts while on the road. New Zealand owned and operated, AeroDrive additionally operates in Australia, although only in certain locations on the eastern coast. Due to its limited operation within Australia, there isn’t as many vehicle options as other providers may offer, but AeroDrive still has a number of models available. An additional bonus of AeroDrive is the free cancellation, meaning if your plans change you won’t be footed the bill for your rental car. Operating under the Enterprise brand, National Car Rental allows you to reserve a hire car for either yourself or a friend, helping to make the organising phase of your trip easier. With a wide range of vehicles available to hire, including smaller models such as the Kia Rio as well as larger models such as the Subaru Forester or Mitsubishi Outlander, you can load up on extras and policies during the checkout to ensure you get the most out of your trip. You can also sign up to the Emerald Club for bonuses and discounts. Only operating out of Perth and Sydney, Bayswater Car Rental has been in business for over 50 years, and offers a number of vehicles to choose from, whether you’re after a small car, larger SUV or even a ute. If you’re looking to get to the airport, Bayswater Car Rental also offers a shuttle bus between the Sydney CBD location and both the domestic and international airports, running every 30 minutes, helping to take the hassle out of making your flight. Operating in major cities around Australia and New Zealand, Apex Car Rentals provides a number of models for drivers to choose from, including the Hyundai Accent to the Hyundai iMax for those looking to drive around the whole family. Prices are outlined during checkout, both as a total cost, as well as a day-by-day cost, with extras such as roadside cover and booster seats also available through the booking process. Furthermore, Apex offers no additional fees for under 25-year-old drivers or additional drivers, potentially making it a handy option for younger travelers. While it may be more well-known for its bright green and purple campervans, Jucy additionally offers cars for all your rental needs. The New Zealand company is available in major Australian cities, with locations and opening hours on the Jucy website. Small, medium and large cars are available for hire, along with extras such as GPS and baby seats. Jucy also provides a ‘relocation’ deal for those heading one-way for their travels. If you’re still not sure about which car rental provider to go with, there are other options that may suit your journey and budget. Providers such as Discover (formerly known as Atlas Choice) and AutoEurope are available for drivers to book through, acting as a middleman between drivers and providers. They work by renting a car from an established provider before leasing it out to you, which means they don’t have the overheads of looking after a car fleet, which may mean it’s a cheaper option for you to consider. If you’re looking for something completely different, you may also want to consider Carhood and Car Next Door, which allow you to rent someone’s car, or lease your own car out for someone else. It works by pairing those looking to rent a car with someone who is leaving their car at the airport for a few days, providing a cheaper alternative to those looking to explore Sydney, while giving those travelling outside of Sydney a chance to make some money. Which hire car provider should I use? There are plenty of options available in the wider Sydney area, though it can be tough to narrow down which hire car provider to use, especially if they all offer similar services. Ultimately, it will come down to your particular circumstances and needs, as one provider may offer a more flexible option for your trip, or have extras on hand to help keep the kids entertained during those long road trips. The biggest things to consider when it comes to car hires is price and convenience. 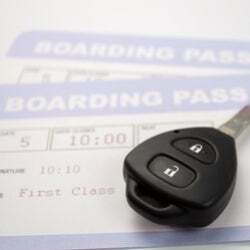 The last thing you need on your next holiday or business trip is worrying about how you’re going to drop off your rental, meaning provider locations can quickly become one of the first things to check, as well as whether or not you can pick up and drop off your rental at different locations. When it comes to price, it will come down to what you plan on doing with your time behind the wheel, including who is driving the car and how far you’re travelling, but considering all your options – including the many smaller providers – may help your wallet from feeling the pinch. If you’re not sure which provider may be the best option for you, check out our Hire Cars Ratings to see which brand came out on top.